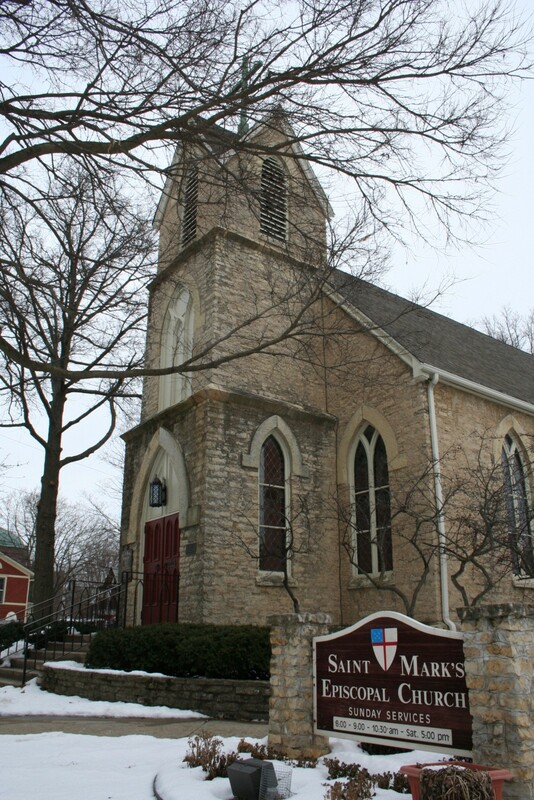 St. Mark’s Episcopal Church, Geneva, IL A recent discovery to the LG Foundation on April 8, 2015. 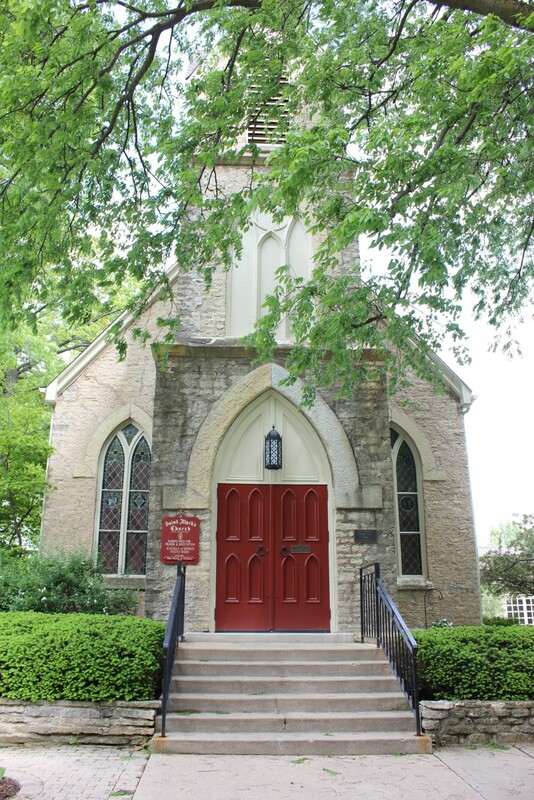 Newly restored by Kuniej Berry Associates and on display inside the chapel. 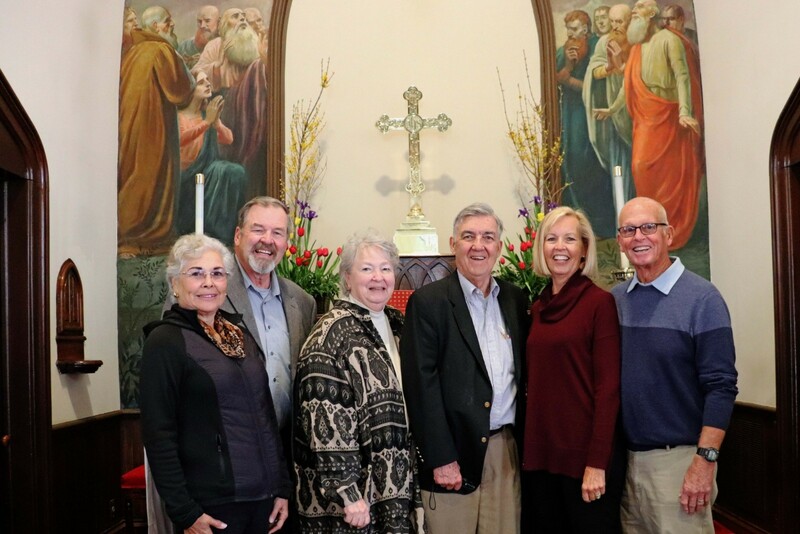 Church members contacted our foundation with pictures and information showing their parish has an original 1919 mural by Louis Grell. 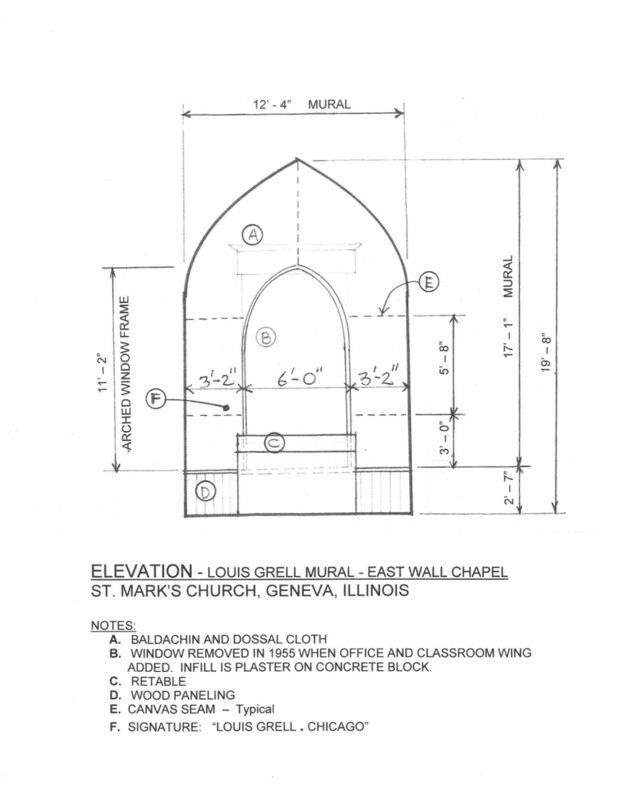 Church documentations show that Grell was commissioned in 1919 to paint the altar mural, two side Archangels and stenciling throughout. 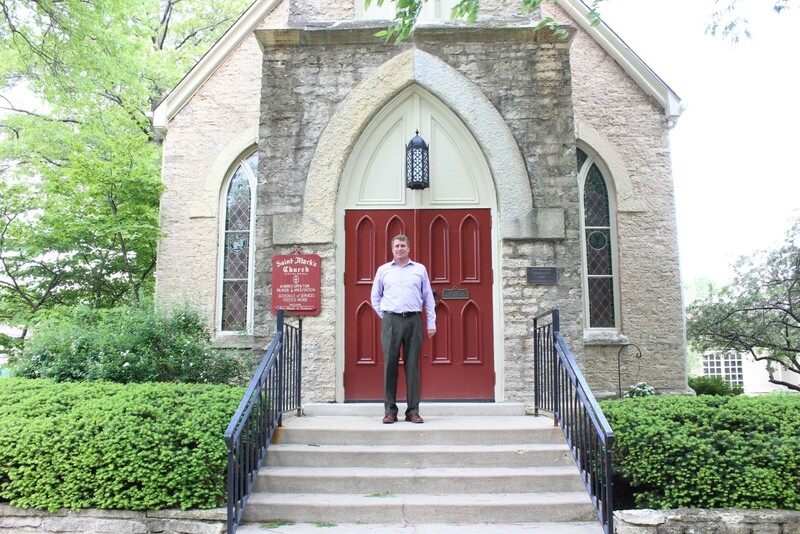 Mr. Nelson, a Geneva local craftsman, assisted Grell with painting the decorative stenciling surrounding the Altar, windows and church interior. 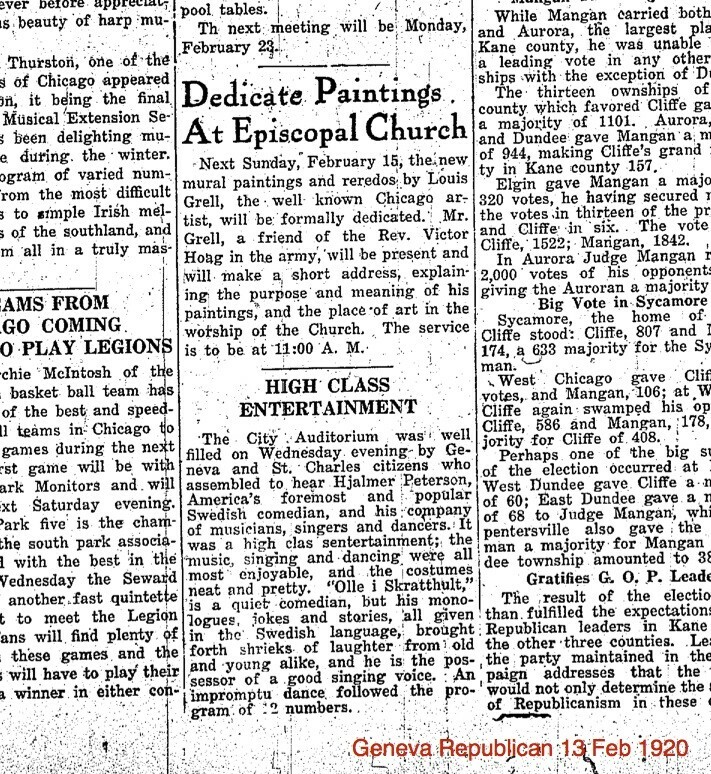 Original 1917-1920 church minutes detail some facts related to the commission. 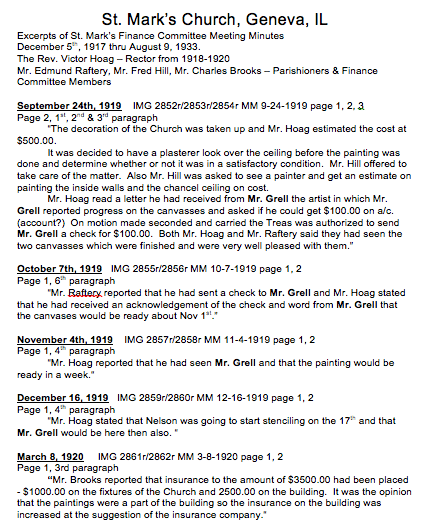 There is a reference in the Chicago Daily Tribune, A Wild Evening is had by All, November 2, 1919 page 5, stating that Grell was finishing some church murals. 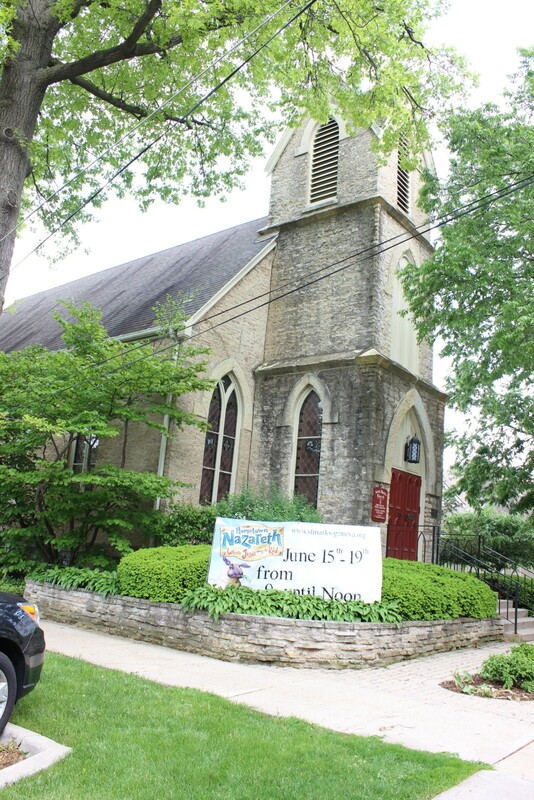 The church was originally built in 1868. 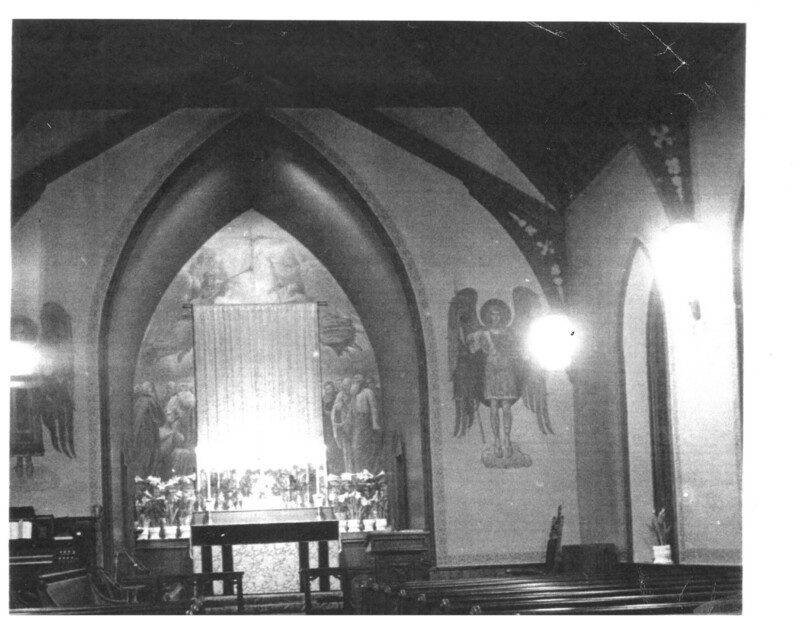 The 1920’s black & white photo above show the original Altar mural and side 9 foot tall Archangels. 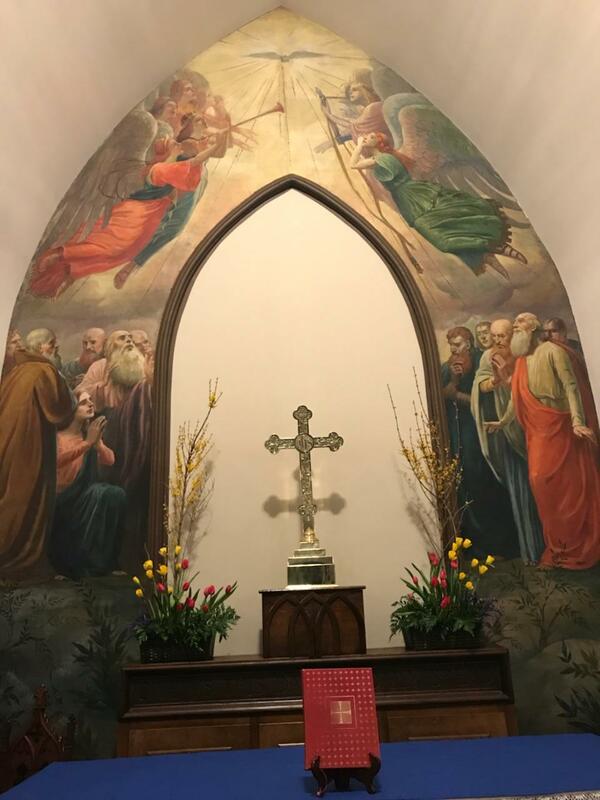 Notice the dossal cloth hanging in the middle area of the mural and the Easter Lillie’s. 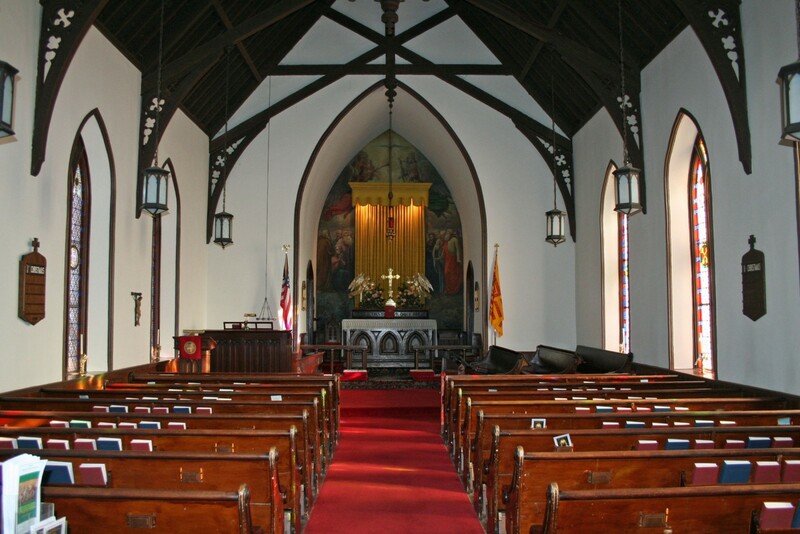 Also, notice the stenciling surrounding the Altar, window arches and interior walls. 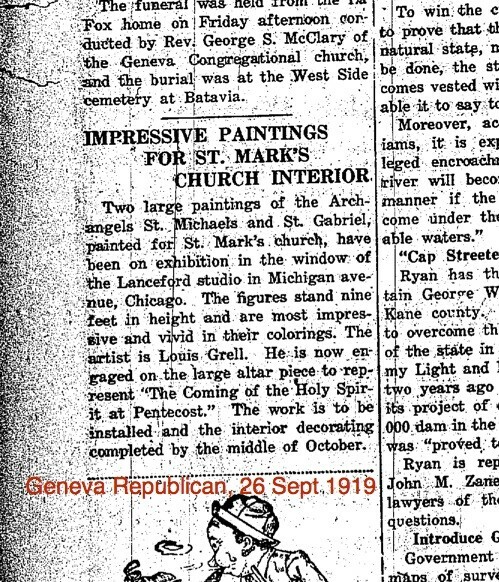 Both nine foot tall archangels were on display at Lanceford Studio, 661 N. Michigan Ave., Chicago, IL before installation in November, 1919. 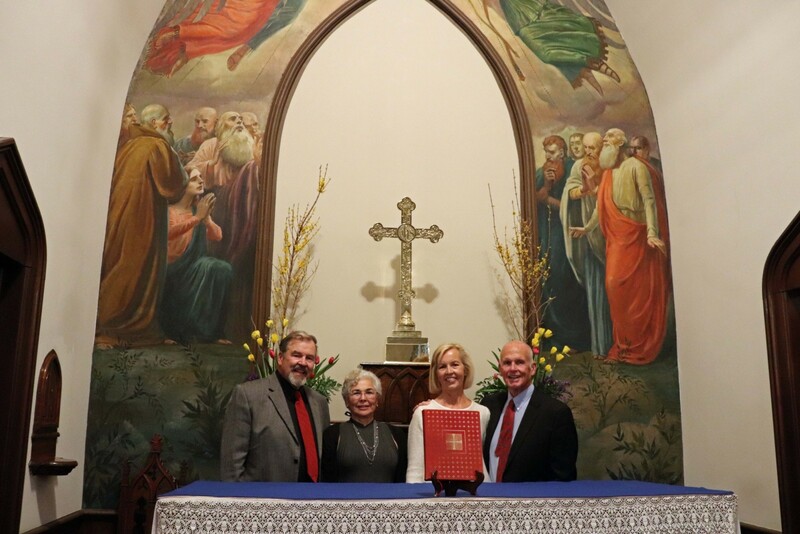 This mural discovery is important to the LG Foundation because it represents the earliest known church mural by Grell, in America, and is still in existence and bears a rare signature. 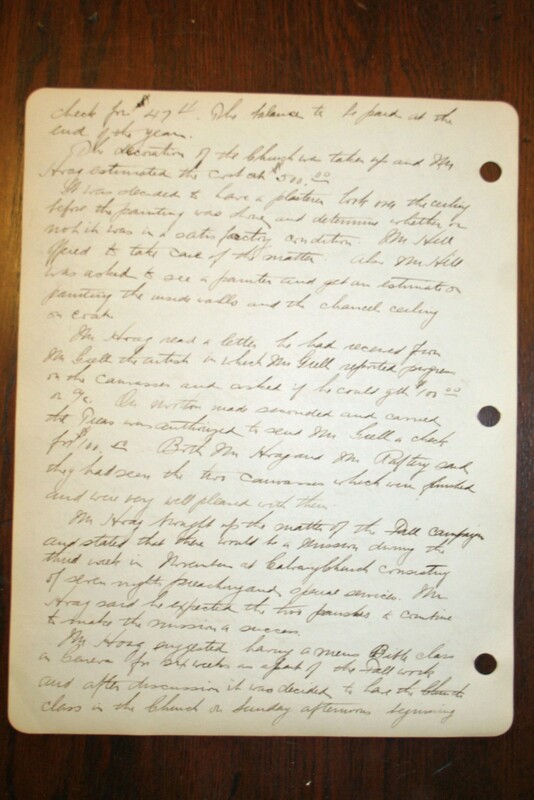 Photos, information and copies of original church minutes courtesy of The Rector of St. Mark’s Church, The Rev. 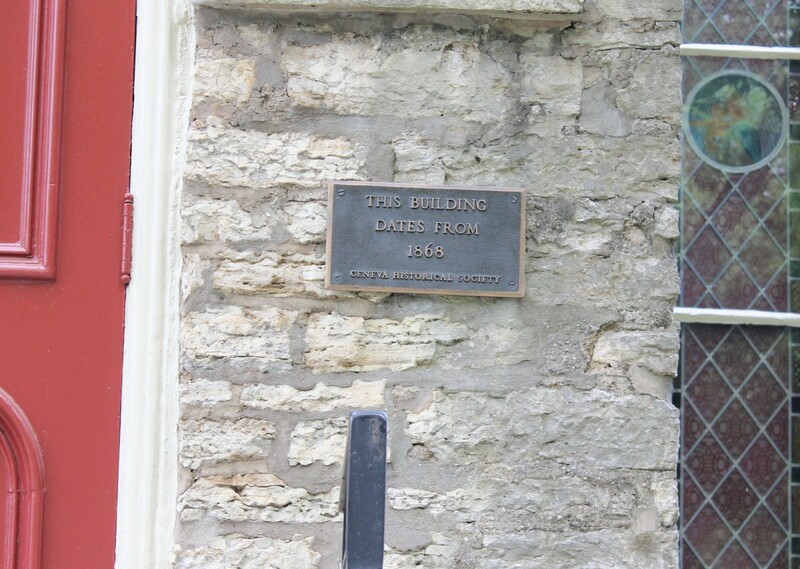 Dr. Mark A. Tusken and came directly from Margy & Ron Walkington THANK YOU! 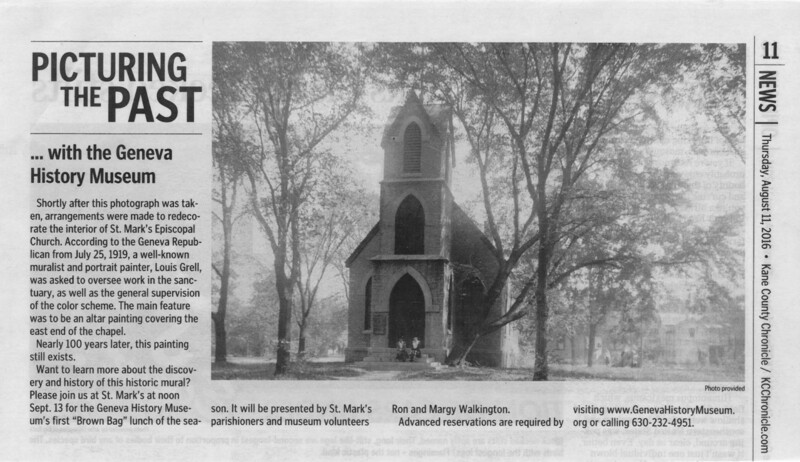 Thank you to the Geneva Historical Museum, Jessica Strube for contributing the articles from 1919 & 1920 published in The Geneva Republican 26 Sep 1919-cover & 13 Feb 1920-cover. 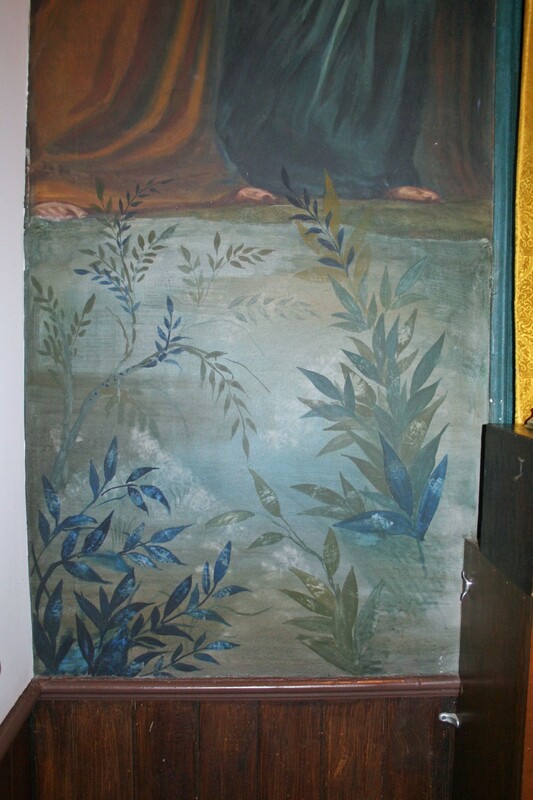 The two Archangels were 9 feet tall, oil on canvas, their current status/location is unknown.